4k00:20Summer blue skies in sunny day, beautiful time lapse building clouds. Nature lightness clear weather, nice, relaxing season. 3840x2160. -UHD. 4k00:21Beautiful white clouds float in the blue sky, rolling & fast motion summer day, nature beautiful sunny light. NOT CG, real colors. Ultra HD, 30 FPS, 3840x2160, 4K. hd00:50Time lapse clip of white fluffy clouds over blue sky, Beautiful cloudscape with large, building clouds and sunset behind shining sun rays and eventually breaking through cloud mass. Real Full HD. 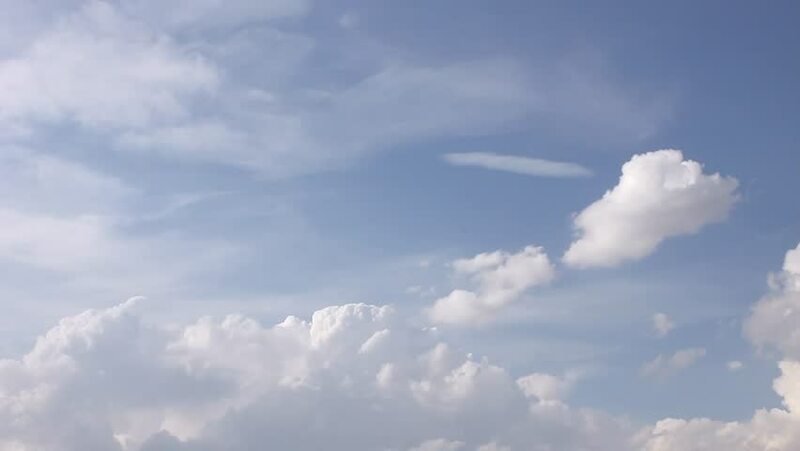 hd00:14Time lapse sky with white clouds and the wind in the daytime.